What Have We Learned About Violence? COLD FACT: Crime data for Khayelitsha plainly indicate that it continues to be one of the most crime-ridden areas in South Africa. Image by: DAVID HARRISON. Two years after the commission of inquiry into policing in Khayelitsha released its report, its findings offer lessons for other high-crime areas. The commission was established by the Western Cape government to investigate complaints by Khayelitsha residents and civil society groups about police work and the relations between the SAPS and residents in Cape Town's largest township. It found that policing Khayelitsha was "profoundly challenging" and that there were substantial SAPS inefficiencies combined with an acute "breakdown in relations" between residents and the police. The commission made a series of practical recommendations on how to remedy this state of affairs. Two years later, has anything changed in Khayelitsha in terms of policing and safety? Publicly, national police leadership responded indifferently to the release of the report, but behind the scenes reforms were orchestrated at provincial and cluster level. A new cluster commander, General Johan Brand, was parachuted in to whip the three Khayelitsha police stations into shape; a task team of senior police and provincial officials was created, and there are reportedly plans for a police station in the high-crime area of Makhaza. Brand made contact with key civil society groups and stakeholders. Under his leadership a consultative forum of SAPS members, provincial government representatives, civil society and academics was created to discuss problems identified in the commission's report, as well as a range of other crime-related issues. Residents were encouraged to attend forum meetings, and smaller working groups were set up to troubleshoot specific problems, such as gangs, xenophobia, violence against women, alcohol and drug abuse, and transport safety. Mugshots and video footage of criminals were shown at these meetings, which led to arrests. In the early stages enthusiasm was palpable among those who joined this process, and there were a number of positive outcomes. For instance, urban planners and cartographers from Violence Prevention Through Urban Upgrading produced an up-to-date map of Khayelitsha. The objective was to improve the accuracy of crime reporting and analysis, as well as reduce the time it would take for police to respond to calls for assistance. Efforts to reduce drug abuse were conceived and piloted with the help of civilian experts. A committee of transport safety specialists met regularly and devised strategies to combat the high level of road fatalities and injuries. Initiatives began to address violence and disorder associated with shebeens. However, by late last year momentum began to wane, largely owing to an almost complete absence of funding and the relatively slow pace at which progress was achieved. Also, there had been little success in securing meaningful buy-in from most provincial government departments, with the exception of community safety. In frustration, the Social Justice Coalition and Equal Education, which had been active in the forums, initiated legal proceedings against the minister of police over the inequitable allocation of police resources to Khayelitsha - a key finding of the commission. Last month the entire consultative process ground to a standstill following the redeployment of key SAPS members and the future of the commission's recommendations is unclear. Robbery and other forms of violent crime continue to be an everyday hazard in Khayelitsha. Since 2010, reported robberies have significantly increased every year. There was also a small increase in reported cases of attempted murder for 2014/15, but a slight decrease in the number of reported murders. 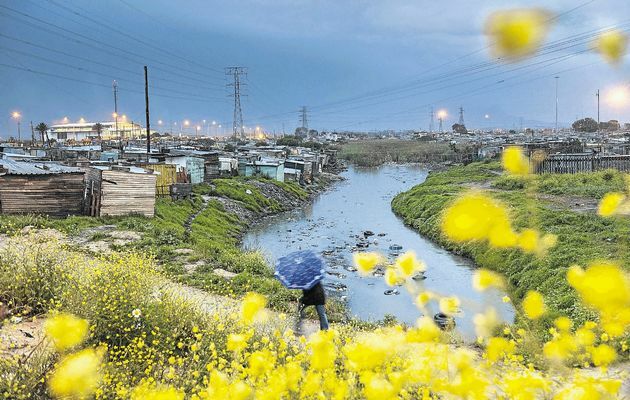 Most categories of SAPS crime data, nonetheless, are generally not reliable indicators of crime trends, especially in Khayelitsha, where there has traditionally been under-reporting of crime. A 2014 safety survey by Mthente Consulting suggested that close to 40% of Khayelitsha residents did not report crime, mainly due to lack of trust in the police and fear that there would be reprisals from perpetrators. This makes it impossible to use reported crime trends as an indicator of SAPS effectiveness, as increased crime reporting could, in fact, indicate increased public trust in the police. Crime data for Khayelitsha plainly indicate that it continues to be one of the most crime-ridden areas in South Africa. As acknowledged in the commission report, criminality is driven by a combination of historical and contemporary factors. A "whole of society" approach to crime prevention and reduction, as attempted in the immediate period after the release of the commission's report, is Khayelitsha's best hope for a safer future. But such an approach requires the meaningful involvement of all government departments at all levels; the prioritisation of this process by the SAPS senior leadership, and much fairer allocation of police resources. ◾Guy Lamb is director of the Safety and Violence Initiative at the University of Cape Town.